The program is designed for the calculation of material and the volume of concrete rings. 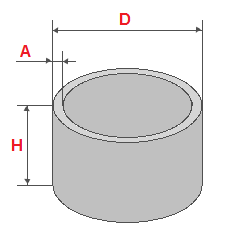 Calculates the volume of concrete, internal volume and diameter of the ring, sizes and square wire mesh. Concrete rings are used for the construction of wells and septic tanks.